Tiaras are not intended just for momentous occasions. There are so many moments in life that deserve a little more special attention. The start of spring always brings with it a positive vibe. The trees are filled with green, and there are bursts of color everywhere you look. The sun has come out of hiding, and the outdoors is the best place to be. Face the onset of this spring wearing a tiara with a difference. A flower tiara is the perfect way to compliment any spring outfit, and bring out your inner-beauty. 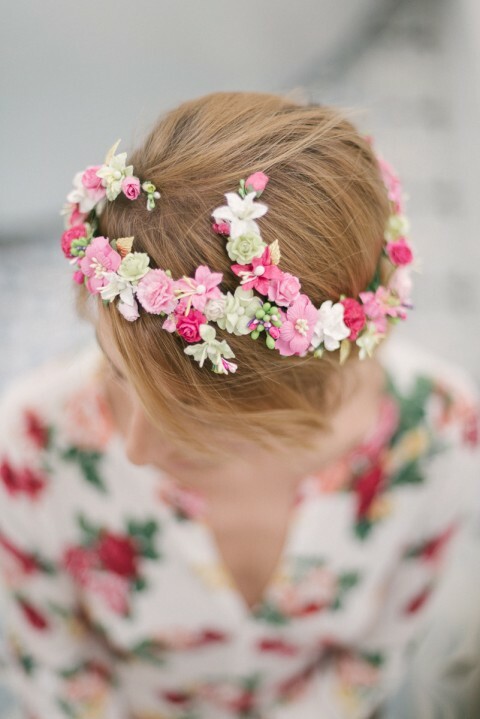 Choose your favorite flowers, and colors, and create a nice tiara. It can be so much fun. Summer is here, and your family is taking their first trip to the ocean this year. Mark the occasion with an accessory that is all you. Spend your quiet days searching the shoreline for shells. Pick up different ones, they don’t all have to be the same. Variety is the spice of life, after all. Create a gorgeous tiara using the shells. While you may not get many opportunities to wear it after the vacation, it is a keepsake that will serve as a reminder of your trip. Encouraging creativity in your children is a wonderful way to develop them into thoughtful, rational, and compassionate human beings. Besides that, spending time on crafts if quality time shared with the little ones you love most. Time that can never be taken from you. The activity doesn’t require any expensive materials, use whatever you have lying around your home. Pipe cleaners, cardboard, old button, and beads all work wonderfully. There is nothing more magical than seeing the look on your children’s faces as they wear their crowns, and delve into the fantasy world they love to escape to.